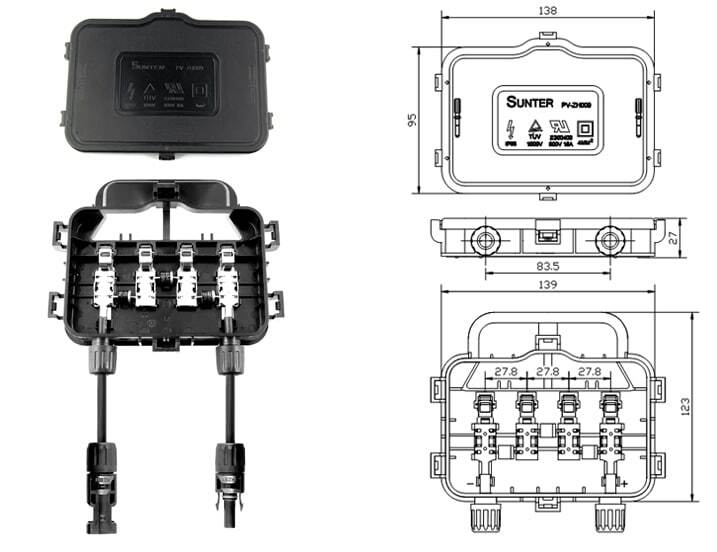 Zhejiang Zhonghuan Sunter PV Technology Co. Ltd was founded in 2004, a leading National High-Tech Enterprise specialized in research & development & sales of solar PV junction boxes, connectors and cables. 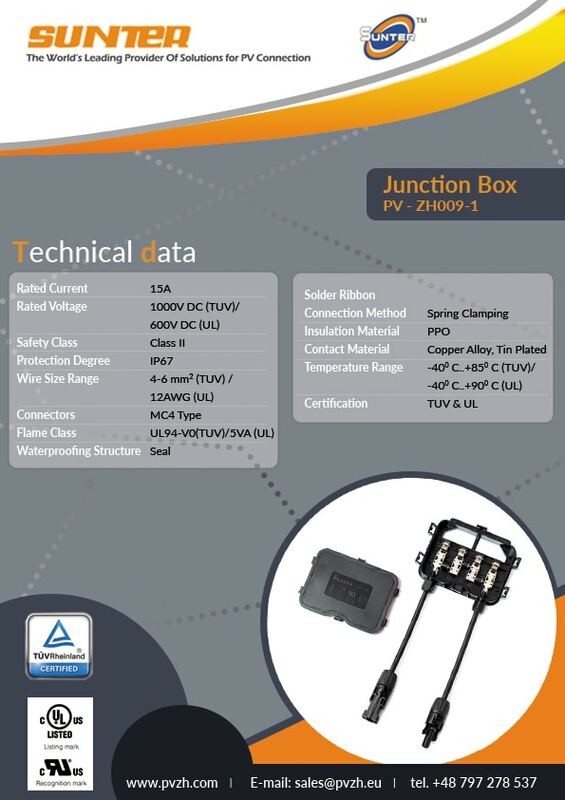 Company has production area more than 100,000 square metres, independent professional R & D team, advanced molding manufacturing equipment and testing equipment. 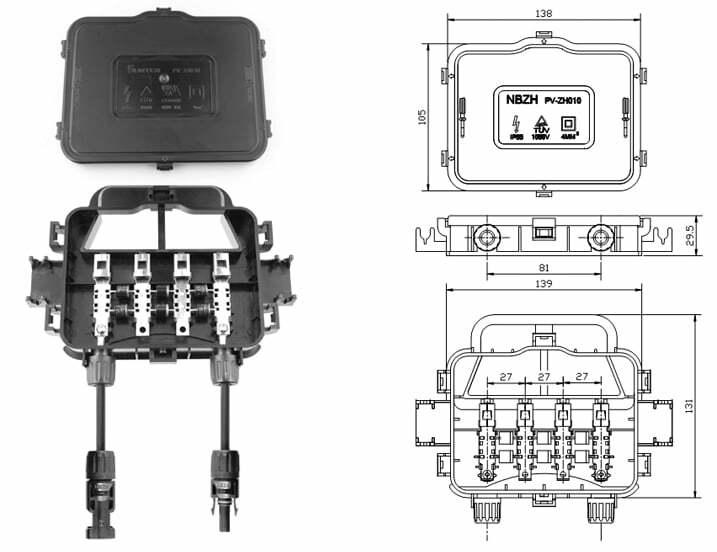 While they have more than 100 professional junction box injection moulding machines, 60 professional production lines, 40 automatic punching machine and automatic assembly machine, they are confident to offer the best quality products to their customers. 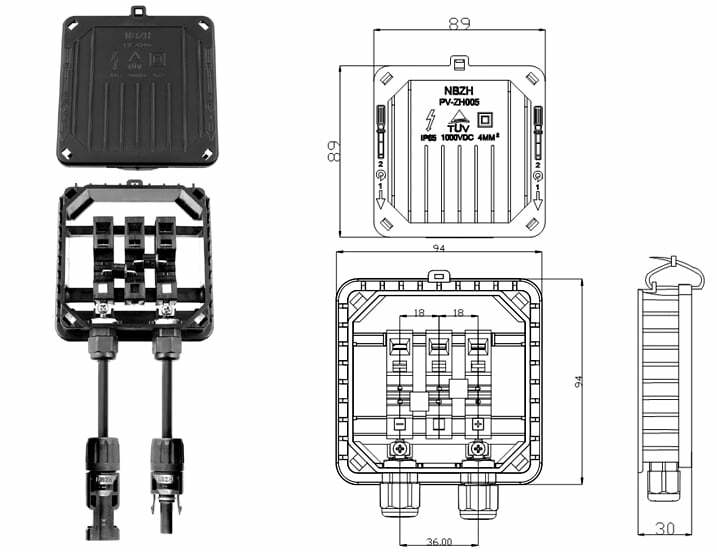 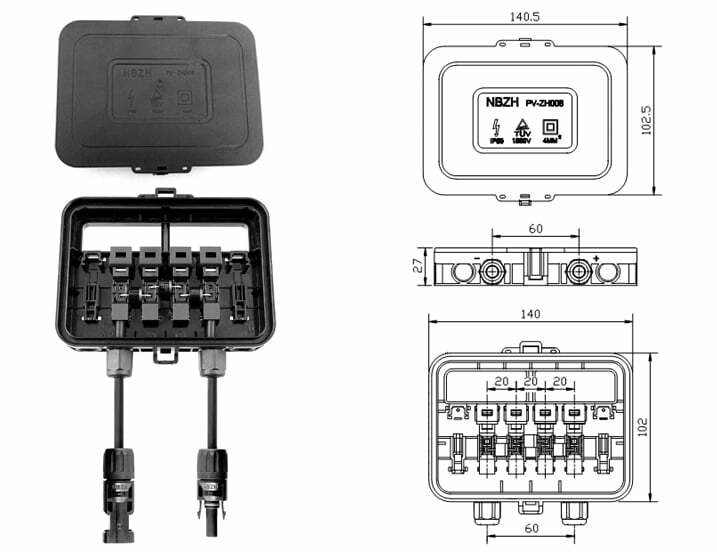 Company’s production capacity of junction box reach up to 250,000 sets, and the products are approved by TUV, UL, IEC, JET, Rohs certifications. 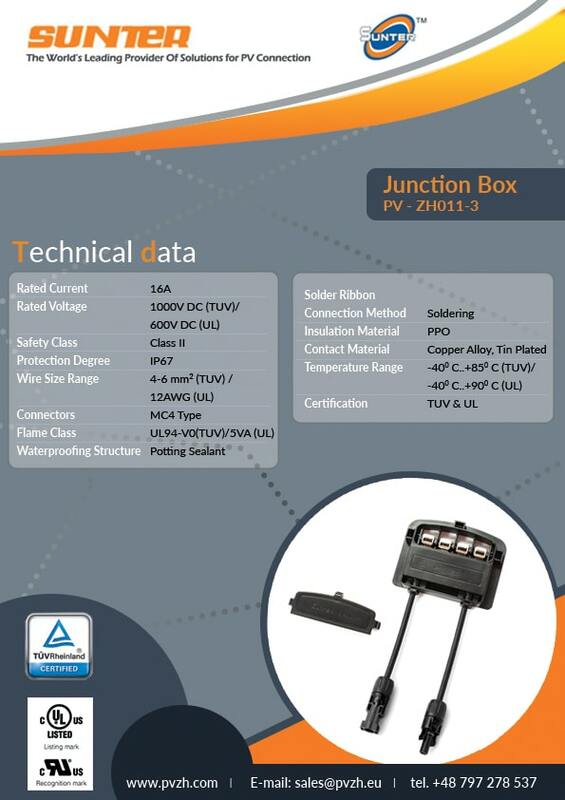 Sunter’s junction boxes are used by many well-known domestic and foreign solar PV module producers. 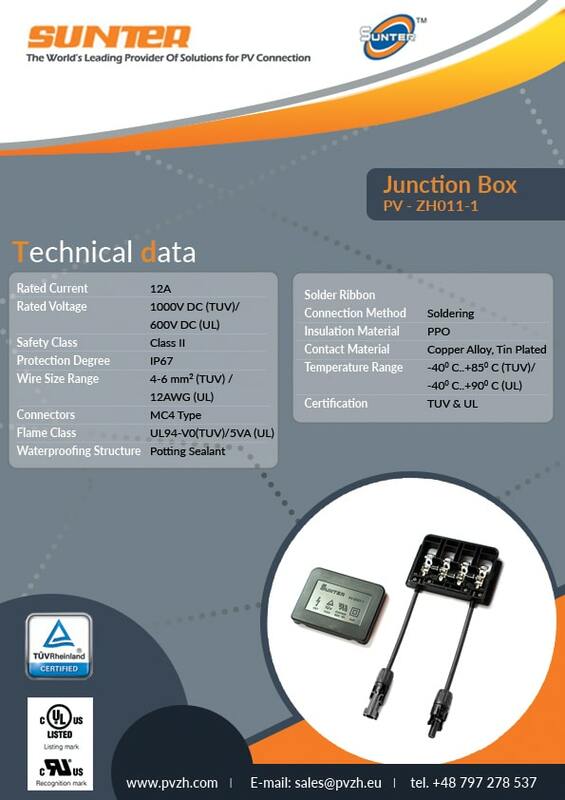 Sunter trusted in KRD Global Group back in 2013 signing an exclusive representative agreement for the whole European market.